In an accident? Request an estimate from us today! 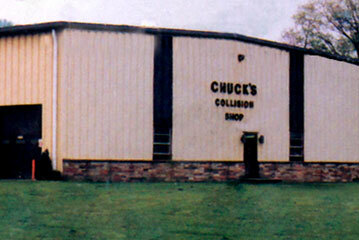 Chuck's Collision Shop, Inc., a family tradition for more than 35 years, provides precision collision and automotive repair; paint-less dent removal, windshield replacement and 24 hour towing. Second generation owners, Chuck and Lisa Kreuzer, provide customers with dependable and trustworthy service. Customers can expect experienced and knowledgeable auto body technicians that are ASE and ICAR certified, to protect their automotive investment as their car is being repaired to its pre-accident condition. Chucks Collision Shop, Inc. is also committed to helping customers maintain their automotive maintenance such as state inspections, oil changes, brakes, alignments, struts, shocks. Our mechanical technicians are also ASE and ICAR certified. 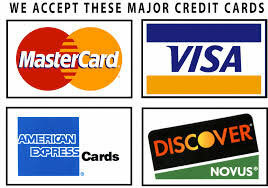 A full service collision and mechanical shop, dedicated customer service, certified technicians and a strong family traditions are what you can expect from Chucks Collision Shop, Inc.
We also accept checks and cash payment methods. © 2016 Chuck’s Collision Shop. All rights reserved.